WASHINGTON: The US Senate Intelligence Committee has quietly approved a plan to step up both public and internal government oversight of the use of armed drones to kill suspected militants overseas, including American citizens. The committee voted in closed session earlier this week to approve legislative language that would require US spy agencies to make public statistics on how many people were killed or injured in missile strikes launched from US-operated drones. The committee also approved language intended to bolster scrutiny of spy agency deliberations over decisions about targeting US citizens or residents for lethal drone strikes overseas. The Obama administration has been under pressure from foreign governments, the United Nations and rights groups to be more transparent and rigorous in accounting for the civilian casualties caused by drone strikes. Though the committee did not release full details of its deliberations on the measures, sources familiar with the discussions said that some committee Republicans were opposed to the drone-related clauses in the bill, which would authorise intelligence activities for the current government fiscal year which began on Oct 1. Ultimately, according to a press release issued by Senator Dianne Feinstein, the Democrat who chairs the intelligence panel, the committee approved the bill by a vote of 13-2. The two senators who voted against it were Republicans. North Waziristan is the area of the most intensive US drone campaign in the world. 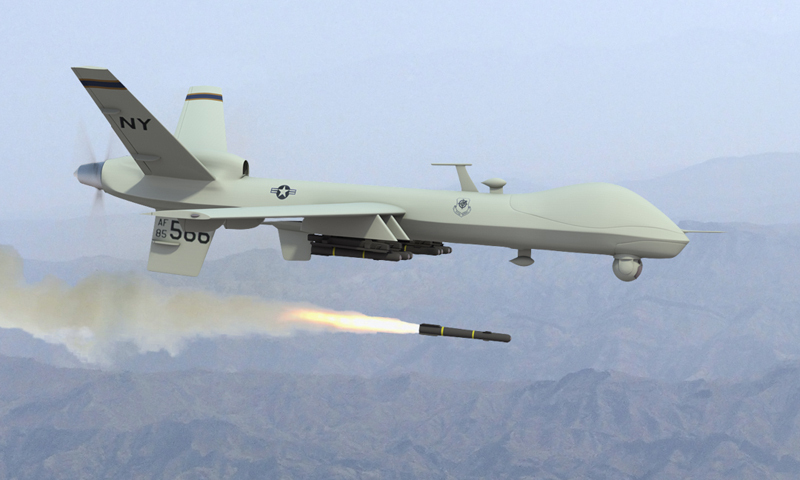 The United States has also attacked militants in Yemen, Afghanistan and Somalia with drones. Last month, Pakistan told the United Nations that 400 civilians were among the approximately 2,200 killed by drone strikes in the past decade. The bill approved by the committee now must go before the full Senate. The House of Representatives would also have to approve the bill, and the president would sign it for it to become law.